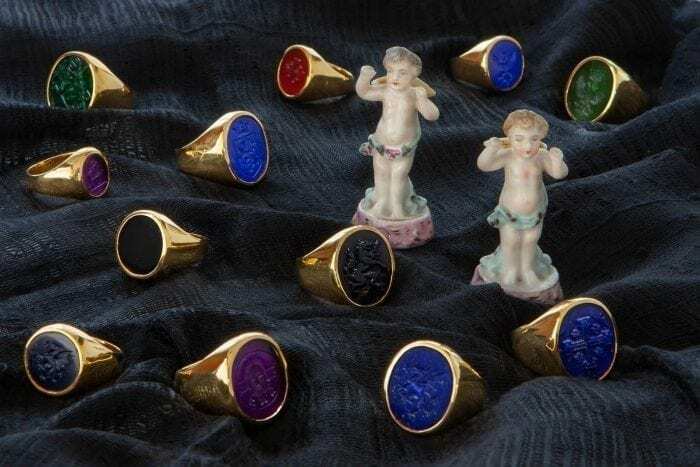 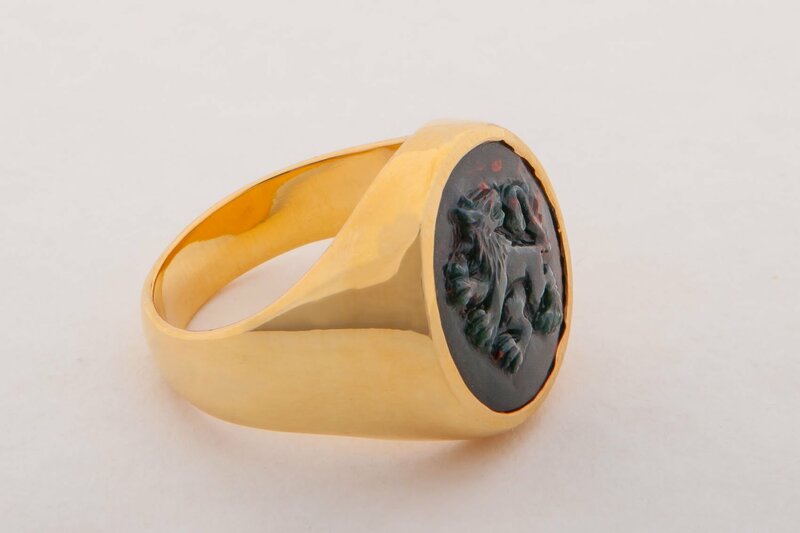 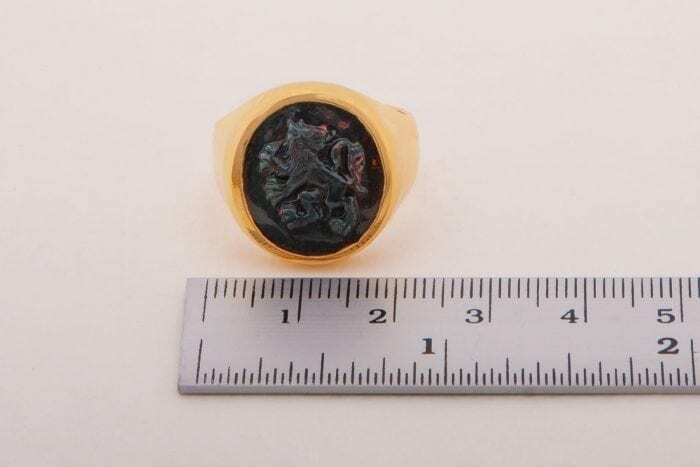 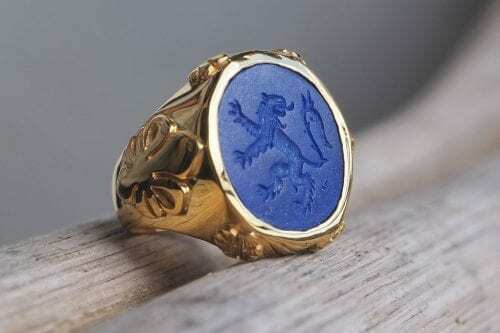 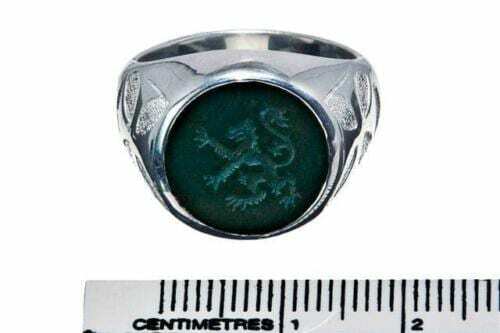 Bloodstone Signet sculpted heraldic lion ring with smooth shoulders in gold plated sterling silver. 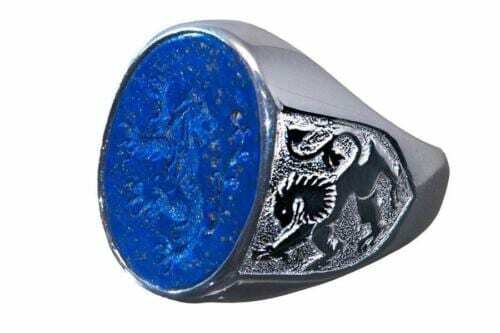 This is the heraldic Lion Regardant image beautifully carved by hand. 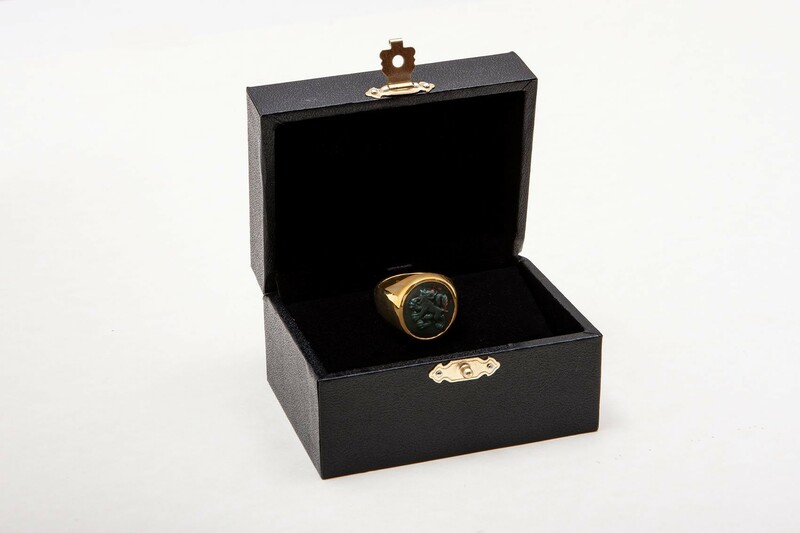 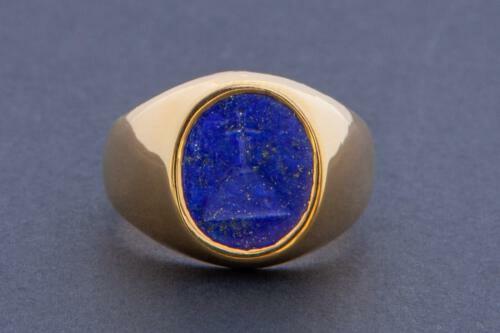 The genuine bloodstone signet ring hand made oval stone measures 16 x 14 mm (5/8 x 9/16 inch), one of our small sized signet rings.